As the holidays approach, you may be making various wish lists and gift lists for people you love and take care of. This gets much more difficult after the loss of someone close to you. When those around you are deeply depressed and grieving, the Christmas spirit doesn’t exactly fill the air with jingle bells. How can you express your love and concern without seeming false or inappropriate? Here’s our unique guide for gifts that grieving loved ones will love. Help your loved one process their emotions through one of these excellent journals full of writing exercises. Working through trauma by writing your stream of consciousness helps you move through the five stages of grief and settle into your new life by accepting change and using it to make yourself stronger. A grief journal is also an excellent long-term tool for reflection and remembrance. Every grieving person needs a place to go to be alone and to ponder, pray, and find some peace. Cemeteries may not be the most comfortable place for everyone, so consider purchasing a tree memorial for your grieving loved one, in honor of the person they’ve lost. The two of you could plant it in the yard or in a special place that can be visited frequently. Imagine this little corner of the world that you can continue to dedicate to the memories they carry by adding a little bit every year: I could see a future bench, maybe a plaque, some chimes, lanterns, the possibilities are endless. This gift could become something really special. This is a great gift for people who are dealing with grief and depression. It’s not directly related to grief or death, which could be a good thing if you’re feeling self-conscious or cheesy as you’re shopping. Sunrise alarm clocks are aesthetically pleasing and incredibly useful. 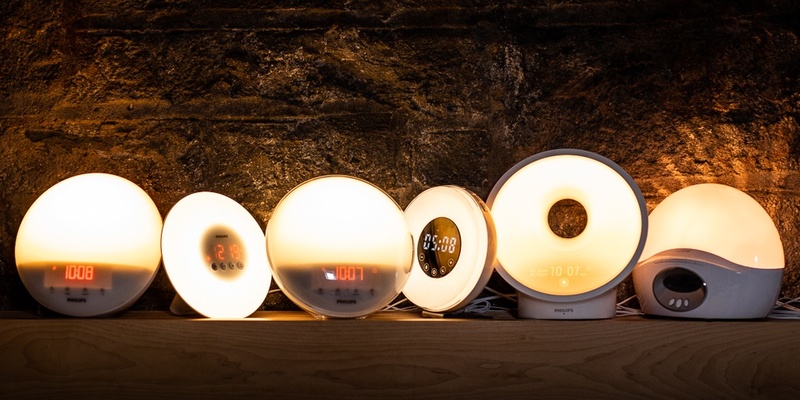 You can set your morning alarm to mimic the sunrise—the light slowly gets brighter over a 20 minute period. You can set different sounds as well, like birds chirping or music. Make it possible for your loved one to start the day on a positive note while they’re suffering through those dark times. Grief brings a lot of physical repercussions, including muscle tightness and stress. Add lack of sleep to that list and you’ve got a perfect storm. Your gift can offer relief for a few minutes—at least, physical relief. We know how reciprocal physical and mental health are with each other, so serving one aspect naturally uplifts the other. A full-body massage is the perfect gift for your mourning loved one because it encourages self-care, they can redeem it when convenient for them, and it shows how considerate you are trying to be. It’s important to recognize that when someone is grieving, they are not their normal selves. Take this reality into consideration when shopping for gifts for any occasion and at any time of year.